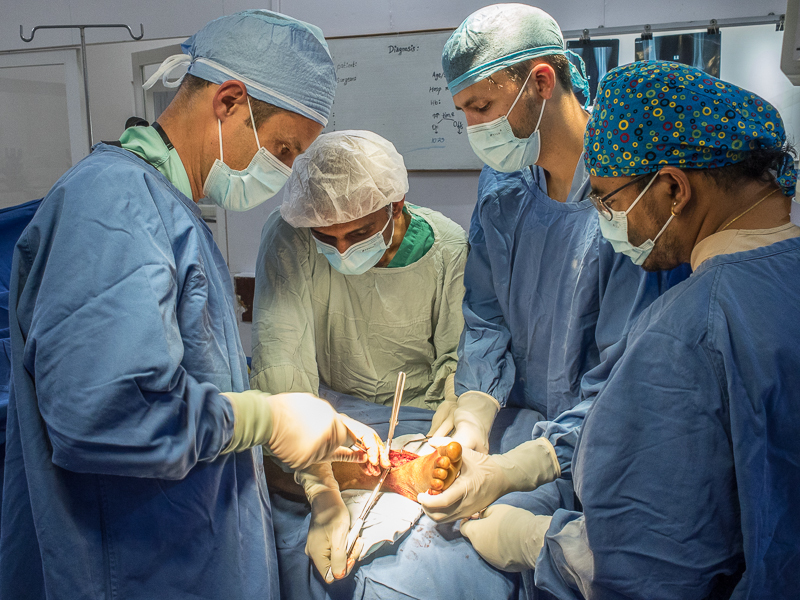 Part 3 of our May, 2015 Loma Linda University Health Orthopedic Team visit to Nepal. 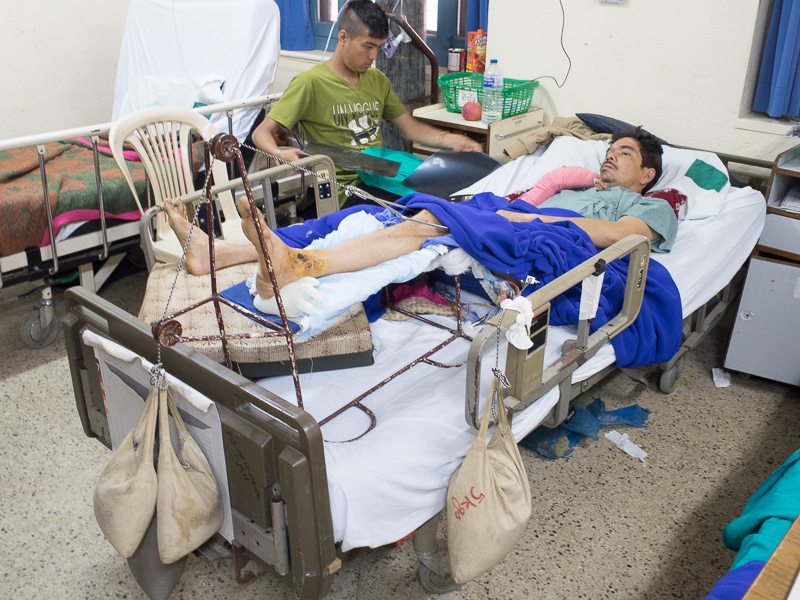 Please consider donating to Adventist Health International’s Nepal Earthquake Fund. There were several surgical patients waiting for our team when we showed up for morning report. Although all cases were “quake-related”, at least half occurred in the 1-2 days after the Big One and were secondary to jumpers out of 1-2 story buildings responding to aftershocks. 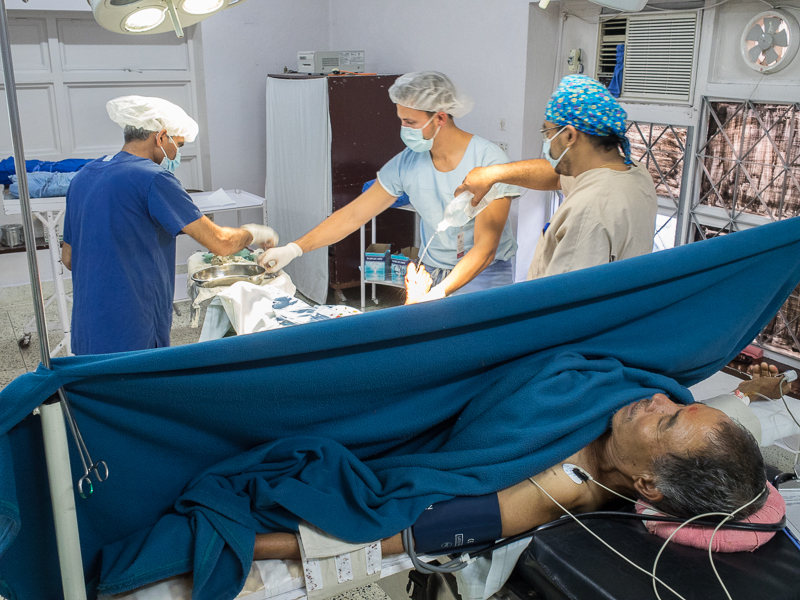 As with the post-quake Haiti victims, many patients with open wounds are arriving to area hospitals on a delayed basis making it difficult to perform definitive open reduction and internal fixation (ORIF) because of concerns for infection. 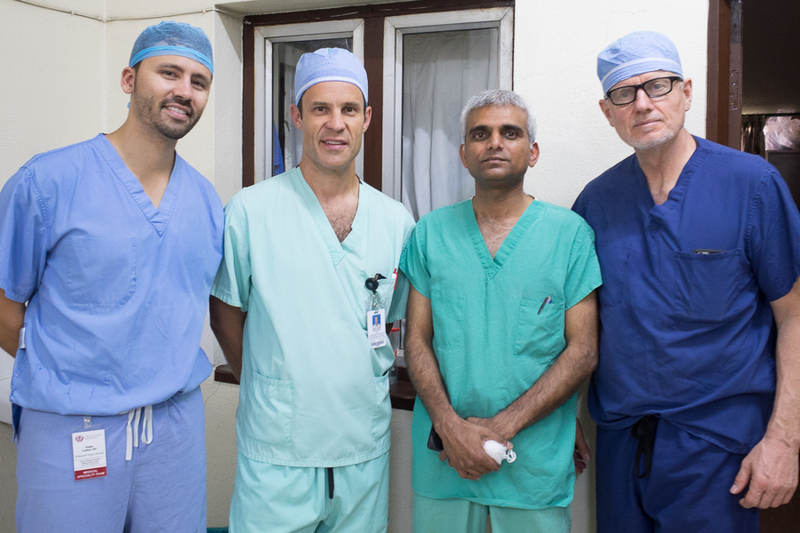 The newly expanded Scheer Memorial Hospital Orthopedic Surgery Team from L to R: Phillip Guillen, Scott Nelson, Prameed Pilli and Jim Matiko. 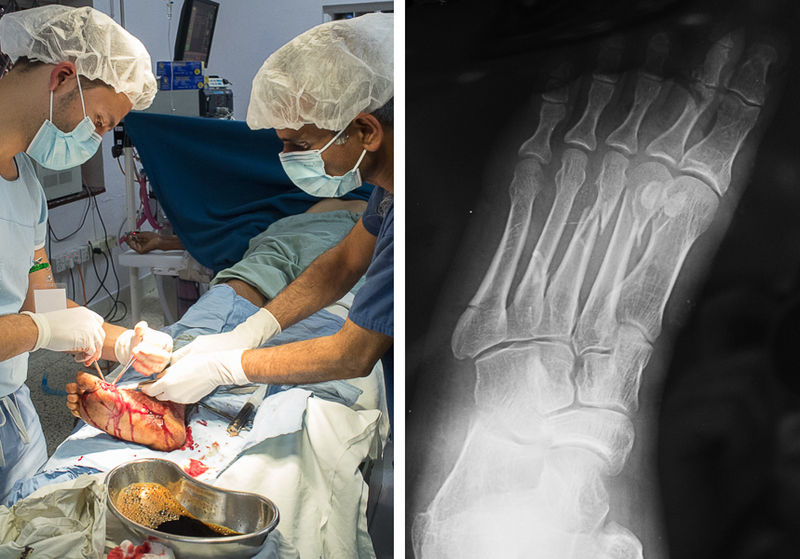 This patient had a crush injury to his foot with open wounds that were infected necessitating debridement and washout. 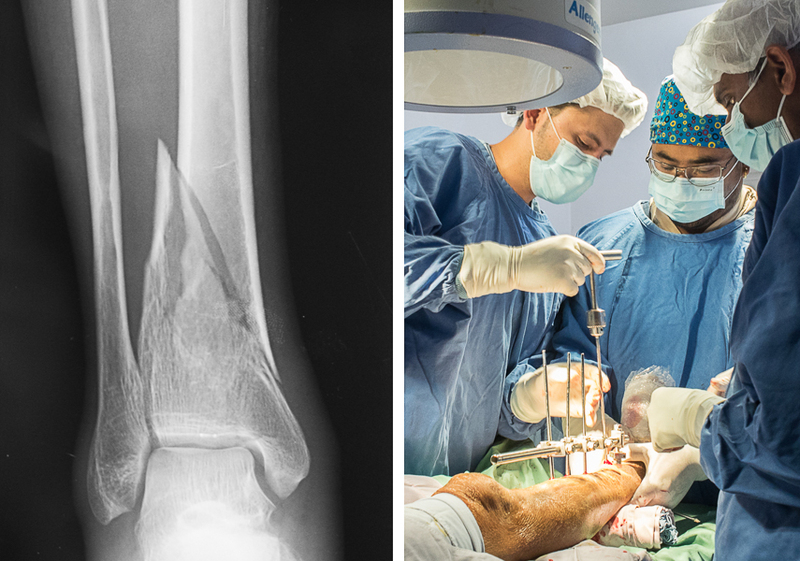 The aforementioned patient also had a closed, ipsilateral distal tibia fracture. 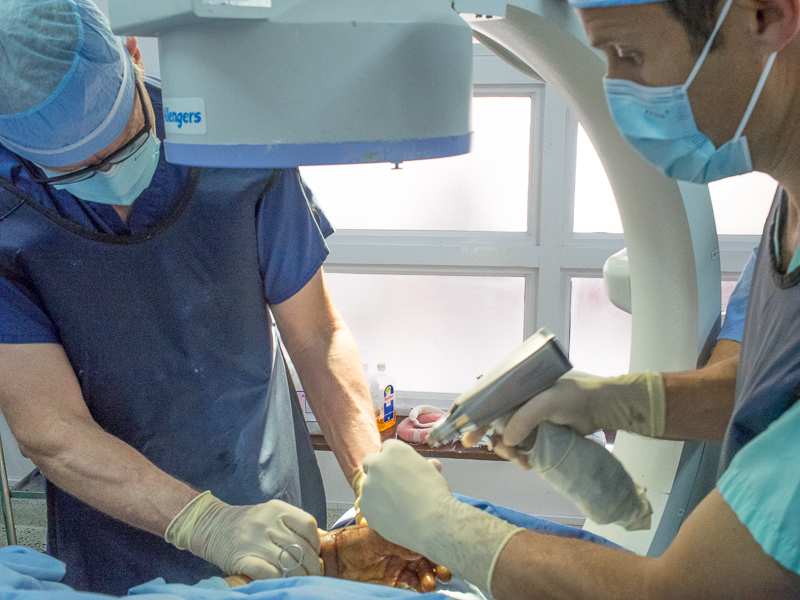 However because of the infection in his foot we could not perform the preferred ORIF but applied an external fixator instead. Jim Matiko and Scott Nelson performing a closed reduction and percutaneous pin fixation on an elderly lady with a closed distal radius fracture. This pair last worked together in this operating room 16 years ago so it was a unique experience to have the opportunity to do it again. 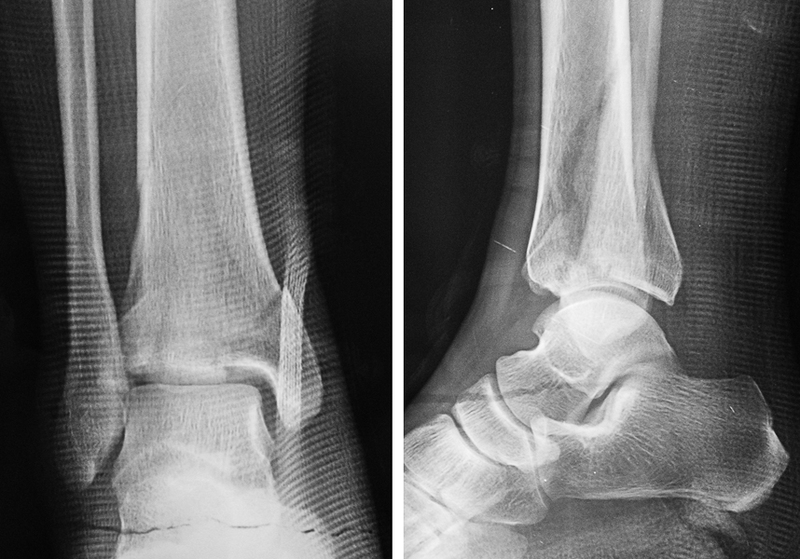 This patient presented with a closed, comminuted, intra-articular fracture of the distal tibia after jumping from a 2-story window during an aftershock. Drs Nelson, Pilli and Guillen performing the distal tibia approach. 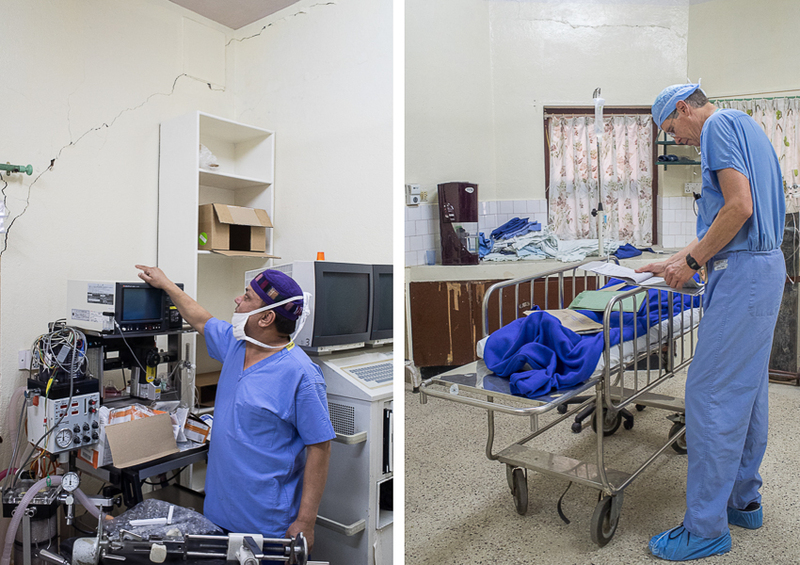 The 2 operating rooms were beautiful and in much better condition than when we last visited. 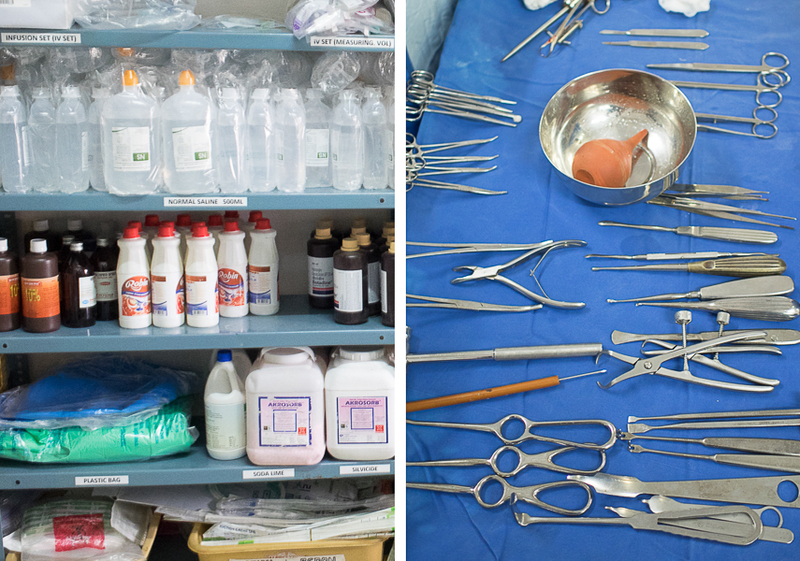 Operating room supplies and back tables were well organized, a significantl improvement from our experience in Haiti. The C-arm image intensifier worked flawlessly and produces beautiful images. 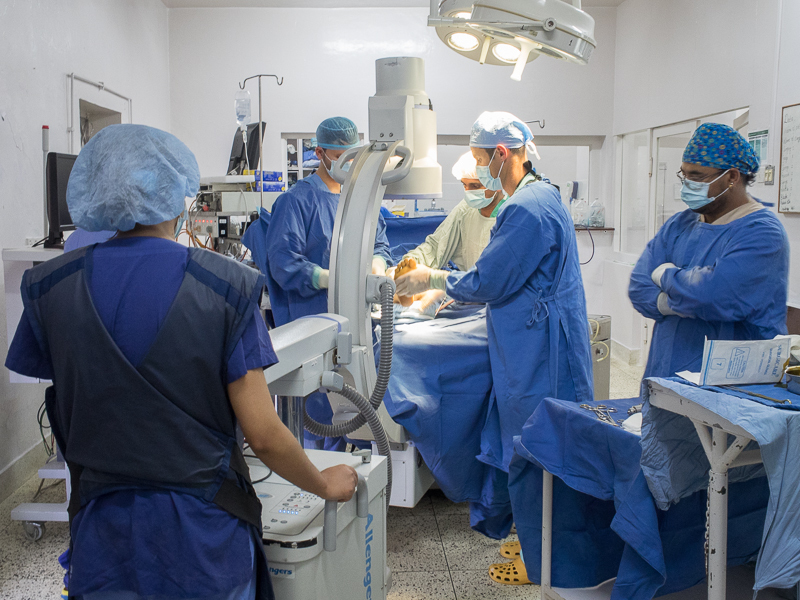 To our amazement, this machine, manufactured in India, cost the hospital less than $20,000. Even a bare-bones C-arm in the US will set us back $75K. 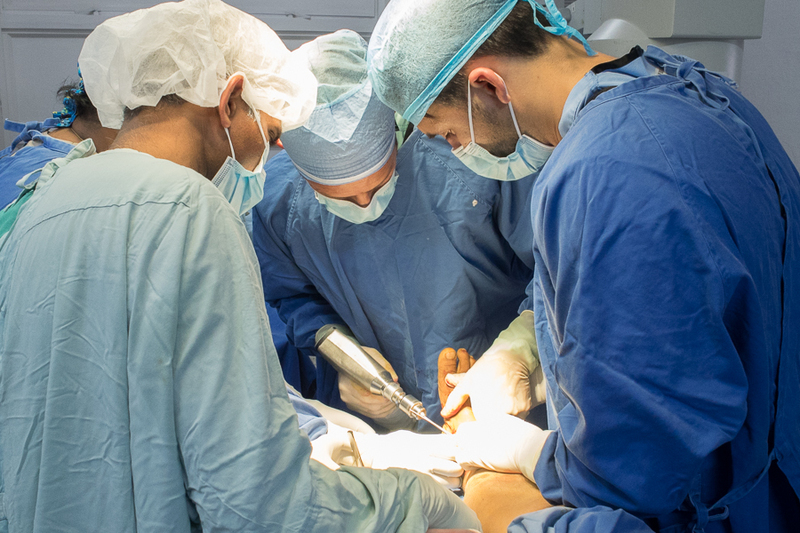 The vast majority of cases appear to be performed under regional anesthesia which is safer for the patients and diminishes time spent in the recovery room. 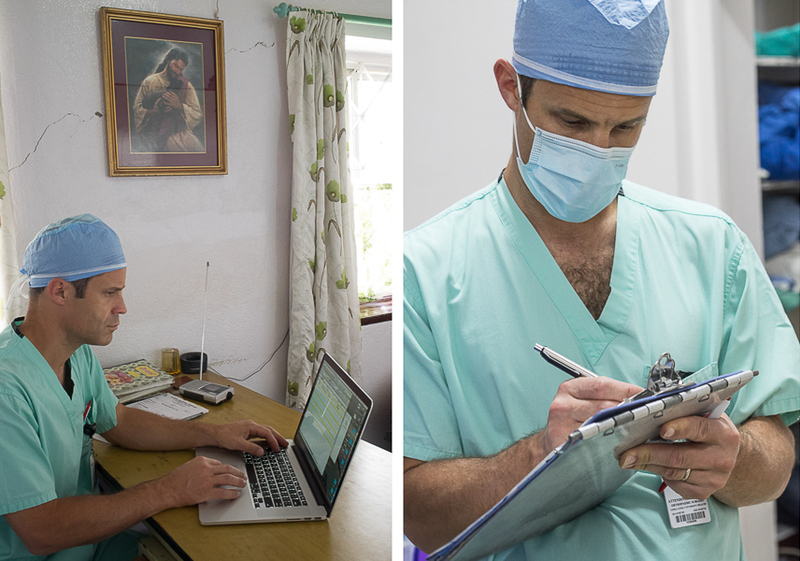 Unfortunately, even overseas there is paperwork to be done, much less than at home, but present none-the-less. 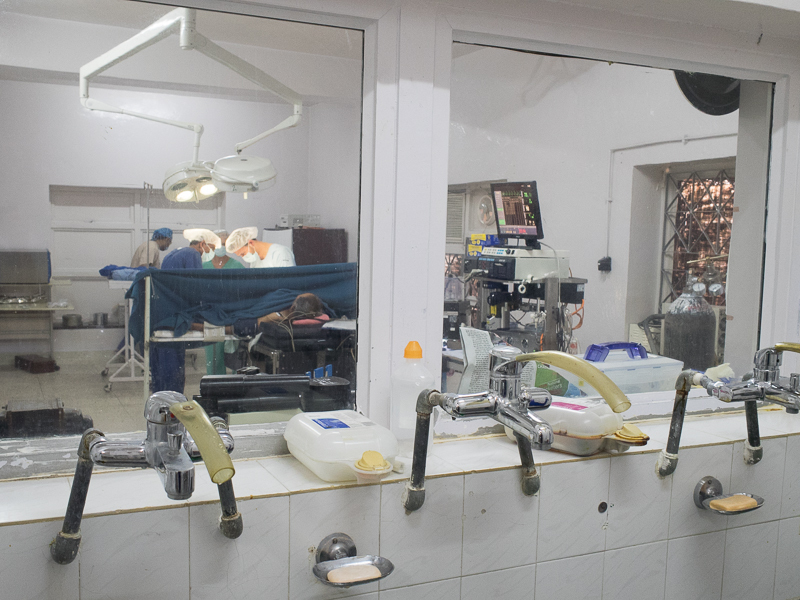 Surgical tech Laxman on the left pointing to a crack in the wall from the quake in the operating room. Anesthesiologist Steve Mulder evaluating a patient in the preop holding area. Note the crack in the wall above and behind him. Overall, Scheer Memorial Hospital sustained relatively minimal damage compared to other facilities located closer to the quake’s epicenter. Patient lying in a creative traction setup awaiting surgery for a complex fracture/dislocation of the pelvis. 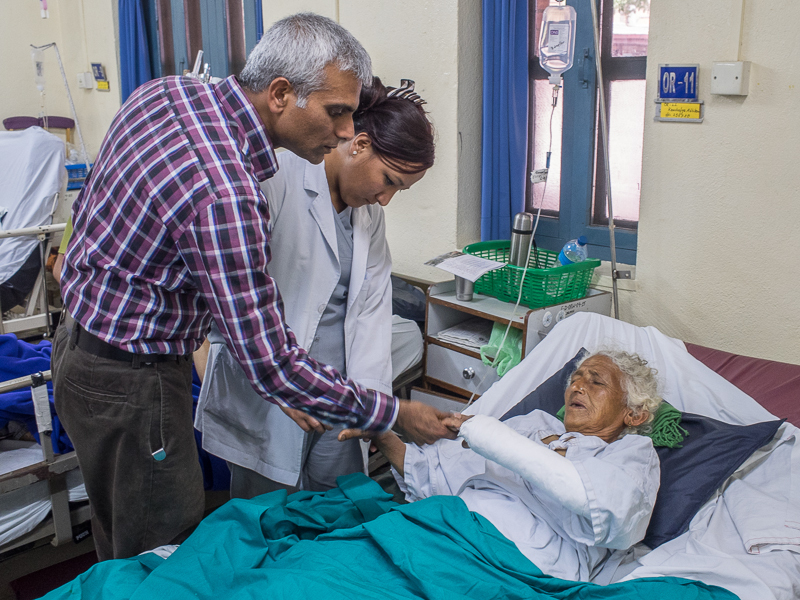 Dr Pilli performing a postoperative check with an ortho nurse on our distal radius fracture patient. ← On Our Way To Kathmandu! Keep up the great work out there fellas! Thanks for sharing and posting updates. Praying for the team and all of the beautiful people of Nepal. God Bless and God Speed! It is so exciting to read your accounts and see the photos. So grateful you get photos and write after what are no doubt long tiring days. How nice you guys are together at Scheer Hospital, 16 years after your residency mission experience together. You’re the gifts that keep on giving. Grateful for every word and photo, Jim. Thanks. No doubt these patients and family members were praying for a miracle. Thank you for responding to God’s calling!